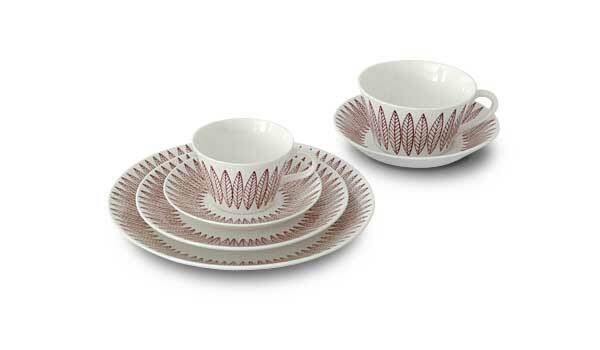 “Salix” tableware was produced 1954 to 1970 and is now being produced again in this limited offering consisting of a coffee set, a tea set and two plates; Ø 18 and 22 cm and now also: bowl Ø17cm and plate Ø28cm. Contrary to the first production line this new series is dishwasher safe. In stock. New in: bowl Ø17cm and plate Ø28cm. Please note that the coffee set and the tea set consists of one cup and one saucer.